To make it convenient for our customers, we offer comprehensive scrap metal pickup Perth. Efficiency and reliability is our motto, call us to arrange. At QB Scrap Metal Recycling in Perth, we don’t hesitate to buy your unwanted copper, aluminium and metal scraps at unbelievable price rates! Whether from home or office, from shop to industry, name a location, and we will be there to buy and pick up your stack of scrap metals! QB have made scrap metal collection and removal easier than ever before with our scrap metal pickup service all across Perth. By utilising our scrap metal bins, you won’t have to designate a spot in your yard that will be an eyesore for weeks while you collect your scrap metals. Just as you don’t have to look high and low to find a buyer that offers fair market values for the scrap metals. QB Scrap Metal Recycling stays up to date on the current prices of scrap metals. We offer fair prices for scrap metals Perth that all our customers can rely on. Take away the inconvenience of designating a spot just to have the neighbours angry at the terrible mess accumulating in your yard. Hire a scrap metal bin and collect your metals easily and safely. We can then collect your bin with our scrap metal pickup services all across Perth. We are the scrap metal recycling source that offers the convenience for collectors to get their job done with ease. Where else can you rely on everything you need for your metal collecting business. We offer scrap bins for hire, free scrap metal removals, and instant cash payments, so you don’t have to wait for your metal recycling. We are the source in Perth that you can rely on to fit your needs when it comes to metal collecting and recycling. QB Copper Recycling is your local scrap removal company dedicating in providing you with the reliable scrap metal recycling solutions in Perth. We tailor our service according to our customers’ needs. Our operations are top-class, environmentally protected and most importantly, authentic. Our well-experienced staff build our reputation. We have selected the best scrap metal recyclers who are knowledgeable, experts and skilful with years of experience. We invested in advanced machinery to conduct eco-friendly recycling in Perth. At QB Copper Recycling, we have minimised the chances of producing excessive waste products. This means, nearly 95% of our copper, aluminium goods are reused or recycled for better purposes. 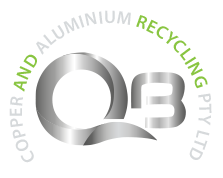 At QB Recycling, we believe in giving rather than taking – we give more to our environment than we take from it. When we pick up scrap metals from you, we ensure they don’t litter around the landfill for long. 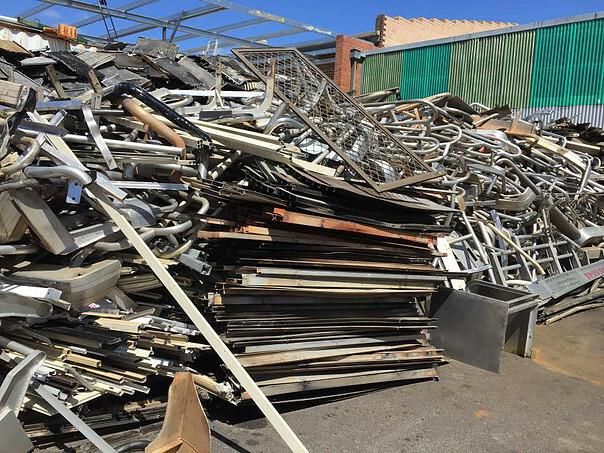 Scrap Metal Pickup Perth is the ideal way to demolish unwanted metals like aluminium, copper, and used car batteries from your home and office, and recycle them to the best use. Based out of Bentley, Perth, our scrap metal recycling centre and scrap metal salvage yard cater to all ranges of recycling needs. Our centre allows you to get cash for your scrap in an eco-friendly manner. We can recycle your unwanted ferrous, non-ferrous, and heavy scrap metals, as well as used car batteries, and is suitable from small residential to large commercial scrap metal recycling. Why Do We Recycle Scrap Metal? Scrap metal recycling is a process of eliminating hazardous waste products from your landfill. Our recycling is done under strict management systems that support eco-friendly guides. Our aim is to reduce the cost of processing waste materials, bring new raw materials to use, save energy consumption and distribution cost. Scrap metal pickup in Perth also helps us to build strong customer relationship with people all across the city! Do You Need a Scrap Metal Pickup Bin? QB Recycling is your one-stop solution for all your scraps. Not only would we pick up scraps from your place, you can now hire recycling bins from us. Just fill up the form available on this website and we will get back to you with the correct sized bin.